Mitchell Lattof Jr. - Attorney Mobile, AL | Lattof & Lattof, P.C. Mitchell Lattof Jr. graduated from the University of Alabama with a B.A. Degree in American Studies in 1976 and a Juris Doctor Degree in Law in 1979. He has been an active, practicing attorney in Mobile, Alabama since 1979 and has been associated with the law firm of Lattof & Lattof since 1983. 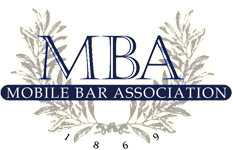 Mitch is a Member of the Mobile Bar Association, the Alabama State Bar and the American Bar Association and has also been a member of the Alabama Trial Lawyers Association for which he served on the Board of Governors for a number of years. Mitch is an active member of the Gulf Shores United Methodist Church for which he serves as Chairman of Staff Parish Relations, Church Council Member and on various other committees.